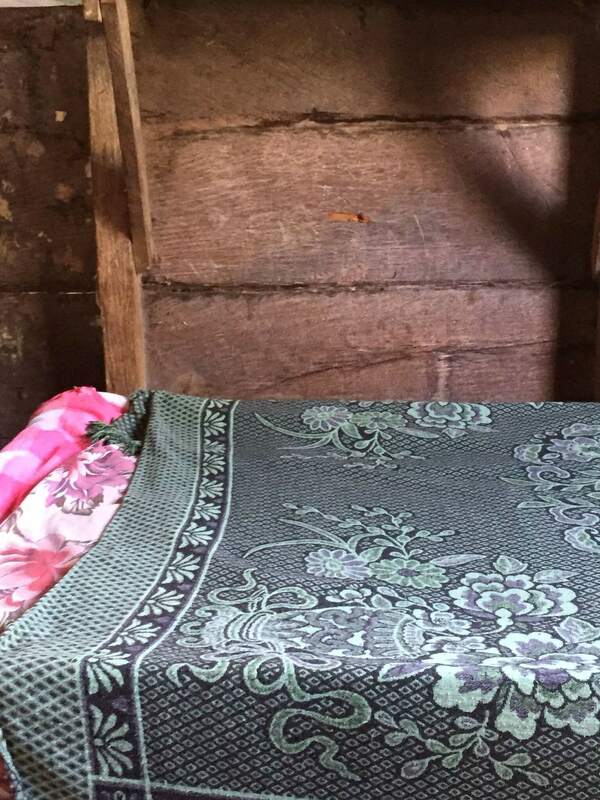 In the second installment of IC’s investigative series on the Miskitu (Miskito) of Nicaragua, Courtney Parker takes readers on a photo-journey ‘Behind the Miskitu Curtain’, introducing the hidden faces and everyday struggles of a simmering, lesser-known conflict zone in present day Muskitia. A young Miskitu boy poses for a picture on the porch of a local elder’s home in the Muskitia community of Wisconsin. Wisconsin is one of many traditional Miskitu settlements active on ‘the frontier’ of Nicaragua’s northern Atlantic region. This particular settlement is about a five hour drive from the closest airport in Bilwi – provided one has access to a four wheel drive vehicle. For his part, Daniel Ortega claims it is corrupt Miskitus who are illegally selling off the land by not properly consulting their communities. This claim is echoed among some Miskitus, though on what grounds, it is unclear. Counter claims have been made, decrying such talk as the product of a slander campaign financed by government interests. All such claims are representative of a basic mood of reeling distrust manifest throughout all the territories right now. The violence and trauma of the conflict has completely torn the sociocultural fabric of the Miskitu community. And no one seems to know quite where or how to begin repairing it. For his part, YATAMA leader, Brooklyn Rivera cited at a meeting in February (at the YATAMA headquarters in Bilwi) that his goal is to unite the Miskitu People to regain the land and to fight for freedom for Muskitia (Miskitu traditional territory). Ortega’s comments betray a more fundamental truth that ultimately works in the Miskitu’s favor, he is now on public record confirming that any land titles in question – and by extension all attempts at violent land seizures – are, in fact, illegal. Contrary to defending any notion of imminent domain, his comments confirm the colonos – despite whatever titles they may or may not hold – do not actually have a legal right to the territory. Whatever is playing out ‘backstage’, Ortega is not co-signing on the colonos’ land claims in public discourse, literally or metaphorically. Stripped of all bias, this revelation intrinsically valorizes Miskitu land claims land rights; and, ostensibly offers hope the neo-Sandinista government is not wholly complicit in current activities – and might therefore, be receptive to outside pressure and calls to protect vulnerable Miskitu communities – and the unique biocultural heritage of the region – from those who seek to strip them of their rightful territory, and basic human rights. 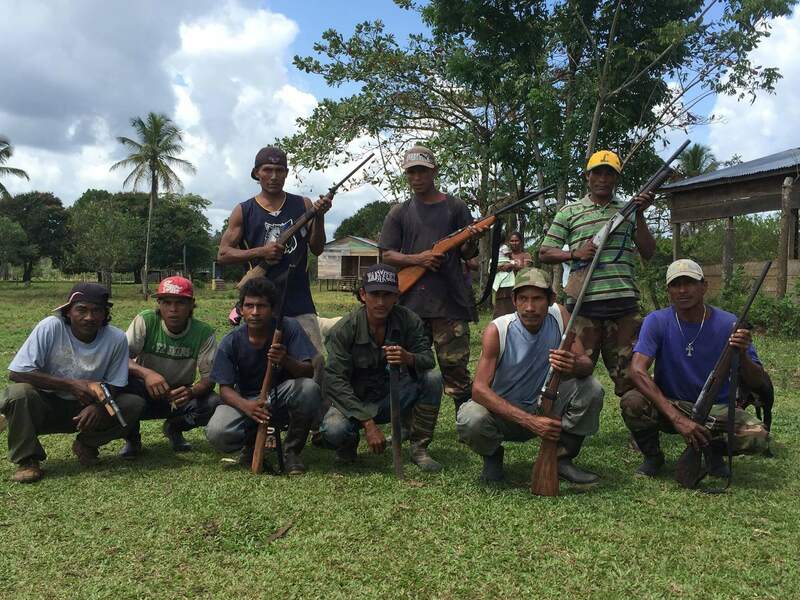 This group of Miskitu men have taken up arms; refusing to stand by idly while their families are murdered or ‘disappeared’. 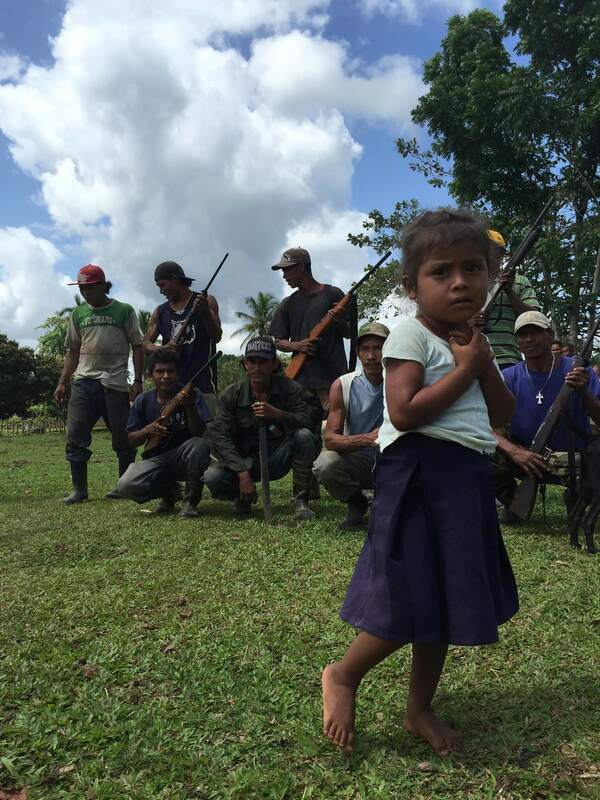 These community defenders are organizing to protect their territories as a last resort. Nearby, members of the Santa Clara community spoke of ongoing and compounding ways the socialist state of Nicaragua has abandoned their interests. Educators and health workers are fleeing – or have fled – the frontier regions, and options for health services are disappearing. Community infrastructure is crumbling, on many levels. A tour of the local schoolhouse – where the Sandinista flag still hangs dutifully in a corner – is a testament to the overall infrastructural state of disrepair. Claims echo throughout urban and rural regions of Muskitia as to how the Ortega government is casting a blind eye while their culture and traditions are violently destroyed in the name of ongoing resource grabs. With IDPs (Internally Displaced Persons) streaming into (relatively) nearby cities such as Bilwi, and refugees fleeing across the border to Honduras, the Ortega government has nothing short of a humanitarian crisis on its hands – and an escalating one at that. 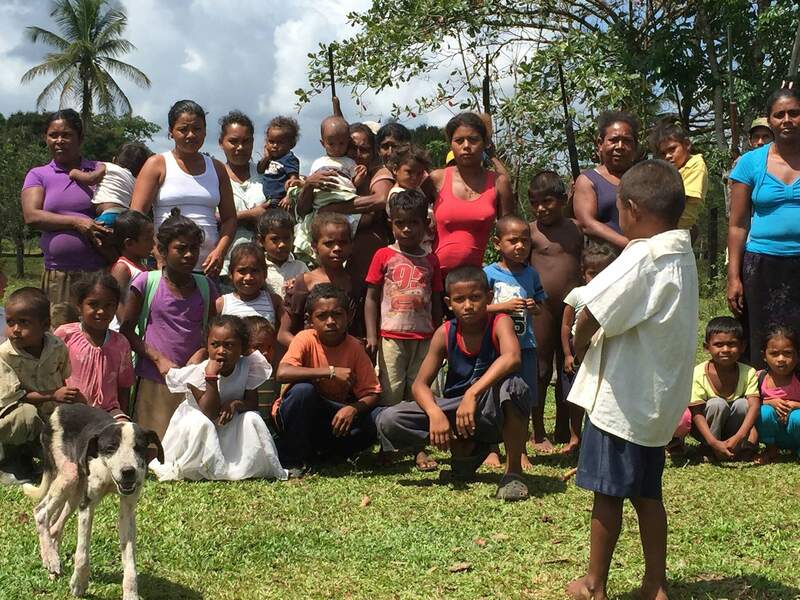 A group of Miskitu women and children – and one rather beatific looking dog – gather for a group shot. Pictured here, are some of the families and individuals who have thus far remained in their traditional frontier villages. 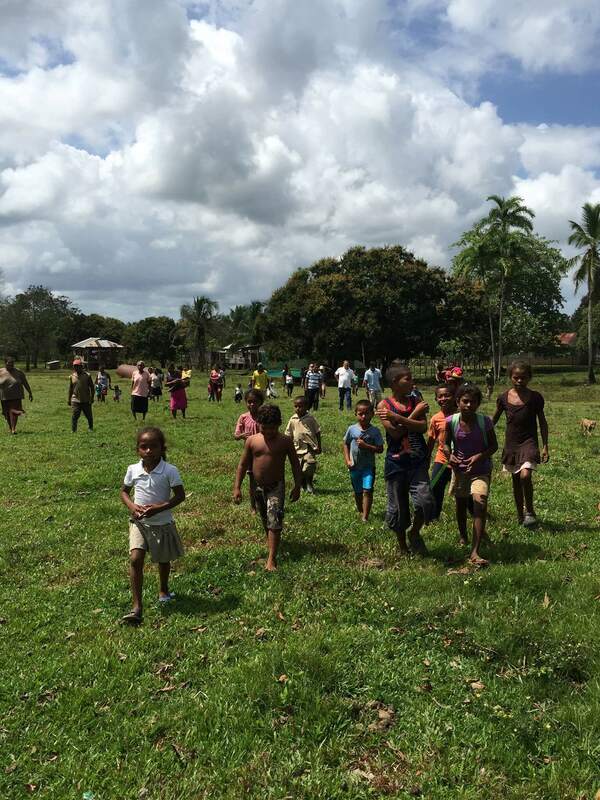 Some 1,400 others have either fled to the refugee camp in nearby Honduras or have been internally displaced to urban areas such as Bilwi (also known as Puerto Cabezas). 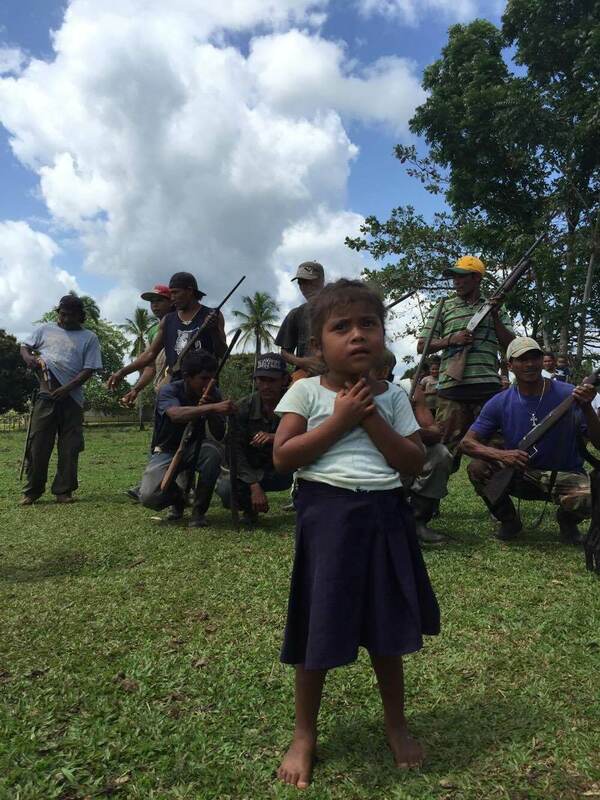 A group of Miskitu men pose for a photo – by their own design – with their heavily improvised weaponry; a young Miskitu girl seems to sense the ominous undertones. The encroaching clouds are getting heavy with rain and cosmological symbolism. The Miskitus believe in one god; yet also describe two separate evil spirits – one of which, lives in the clouds. In the lens of Miskitu cosmology, the image betrays the relative peace of the day with a symbolic reminder of the very real and present danger lurking at the outskirts of the settlement; atmospheric tensions are ready to burst into violence at any moment. There is a larger movement – often spoken of in hushed tones and closed meetings – to take up arms in the form of a militia. In fact, the Miskitu nation has collectively issued an ultimatum on taking an organized stance against the Sandinista government if conditions do not improve soon. From the Miskitu perspective, the Ortega government seems to hover somewhere between negligence, vague complicity, and actual criminal activity in the ongoing conflict. According to multiple community accounts, in 2004, the Nicaraguan army shot 6 Miskito children during a protest against the Sandinista government spawned over these same mounting injustices. In the not too distant past, western interests – broadly ranging from the CIA to members of the grassroots American Indian Movement (AIM) – supported the Miskitus in their struggles against the Sandinistas, after an attempt to nationalize their territories (and resources) in December of 1981. This horrendous challenge to Miskitu autonomy and land rights resulted in the forced removal of an estimated 10,000 (if not more) Miskitus – many of whom were internally displaced to relocation centers in the interior at that time. Numerous villages were burned. Some Miskitu currently still harbor hope of U.S. interests coming to their aid again if forced into a violent face-off with Ortega and the Sandinista military. It may be time for all stakeholders – the international community of human rights activists included – to officially acknowledge that Daniel Ortega is a far cry from the campesino revolutionary figure he was once believed to be. A quick drive through Managua immediately betrays the neoliberal underpinnings of the current era. Milton Friedman’s famous (or infamous) ‘Golden Arches Theory’ has predicted (with success) that no two countries with a McDonalds have ever, or will ever, go to war against one another. (This is one reason it was such a monumental deal when Indigenous Aymaran President Evo Morales expelled the global brand from Bolivia.) Despite some of the petty rhetoric still tossed around the geopolitical sphere, Nicaragua and the U.S. are no longer ideological adversaries of the first degree. Given the global geopolitical shift from ‘Cold War’ themes of ‘communists versus capitalists’ – to current ‘War on Terror’ themes of ‘the hegemony versus the wholly disenfranchised’ – there is real concern that if the Miskitu are pushed into a desperation-fueled armed uprising, the Ortega government might counter with attempts to unjustly brand them as terrorists. Worst case scenario, such an unjust atrocity could usher in a full scale episode of complete and total genocide. It is hoped that by documenting their story now, a more truthful narrative can emerge which would discredit any potential future attempts towards criminalizing their lines of defense with false rhetoric. 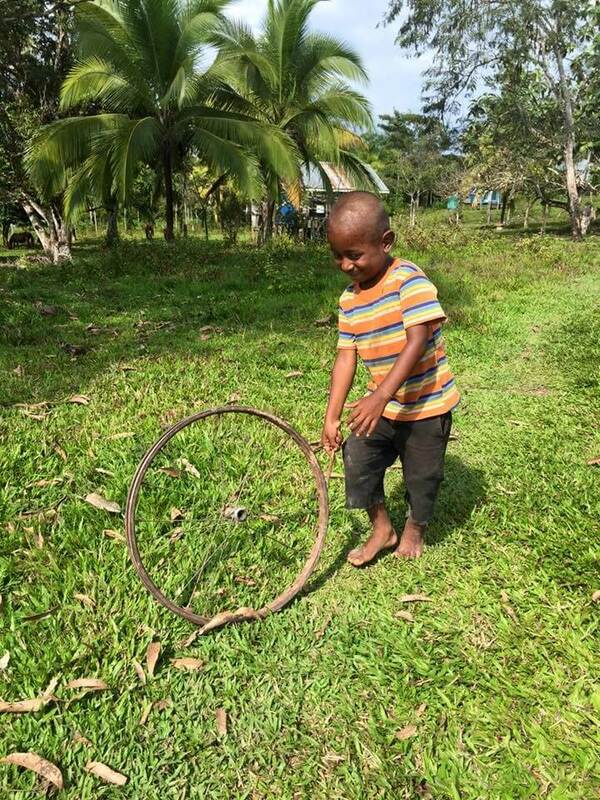 This small Miskitu boy lives in the frontier community of Esperanza, one of the areas hardest hit by recent violence. Nearby, lies an open grave where two community members – shot dead by colonos – were buried until their families arrived to retrieve their remains. Another Esperanza man was recently ‘disappeared’; and, a woman’s store containing crucial supplies for the isolated community was completely ransacked. The deaths, the kidnapping, and the pillaging were reported to Nicaraguan authorities, who still haven’t responded. 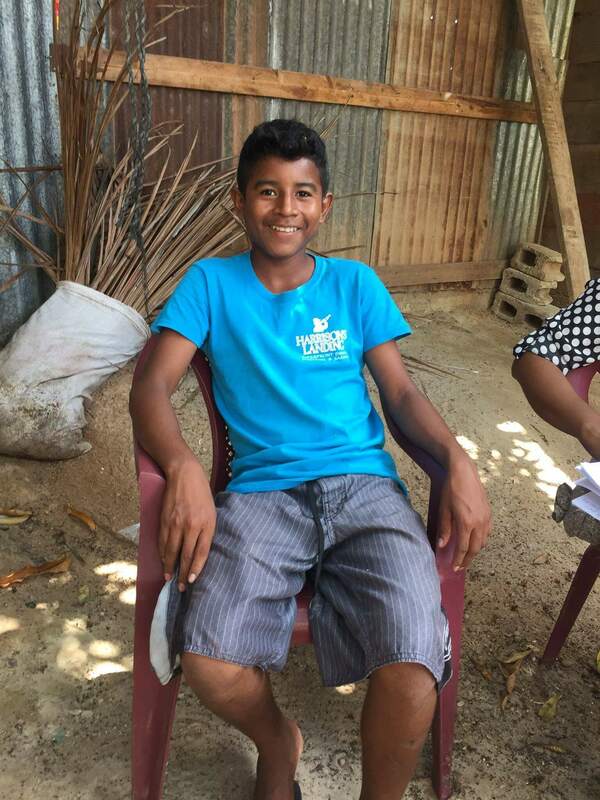 Only a few families are left in the once bustling community of Esperanza, the rest having already fled as refugees to Honduras; or, as IDPs to other regions. Considering the climate of violence facing Indigenous activists of Honduras in recent times, this disturbing trend lends itself to an inverted metaphor of jumping from the fire, and into the frying pan. For now, at least one child is opting for fun in the face of such a foreboding climate. In this photo, a group of Miskitu women, a small child, and a baby in the community of Esperanza enjoy a most welcome moment of peace and respite. Just outside the frame nearby, is the empty open grave – a tragic and unyielding reminder of the gruesome everyday reality of life in a conflict zone. A bullet sped directly over an elder Miskitu woman’s head while she was sleeping, piercing a hole in the wall above her bed. Her house – pictured above, where community members were congregated in the doorway – was the site of an especially violent and recent attack by colonos on the MIskitu frontier community of Wisconsin. Here, the Miskitu elder stares off into the distance through a window on the far side of her home. 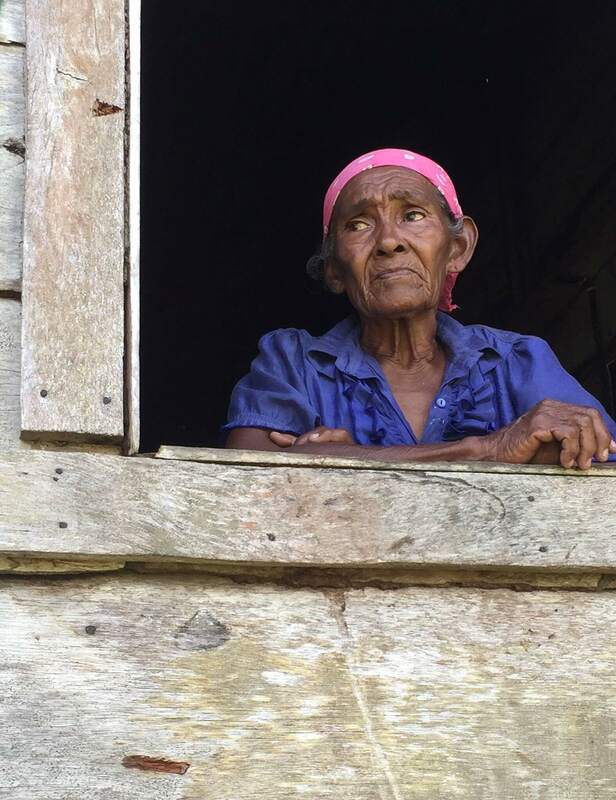 Others in her village describe how she remains posted there in frightened vigil, day in and day out, waiting for the colonos to return and inflict another bloodbath as promised. Various reports cite colonos issuing warnings of a ‘red Christmas’. Concerned villagers – such as the men who were congregated on her porch with the young child – are afraid the Miskitu elder is going to lose her mind living in this constant state of terror. Although there are Nicaraguan military posts relatively near the community, the Sandinista soldiers are doing nothing to protect the Miskitus from attacks. Worse yet, they often give appearances of complicity. 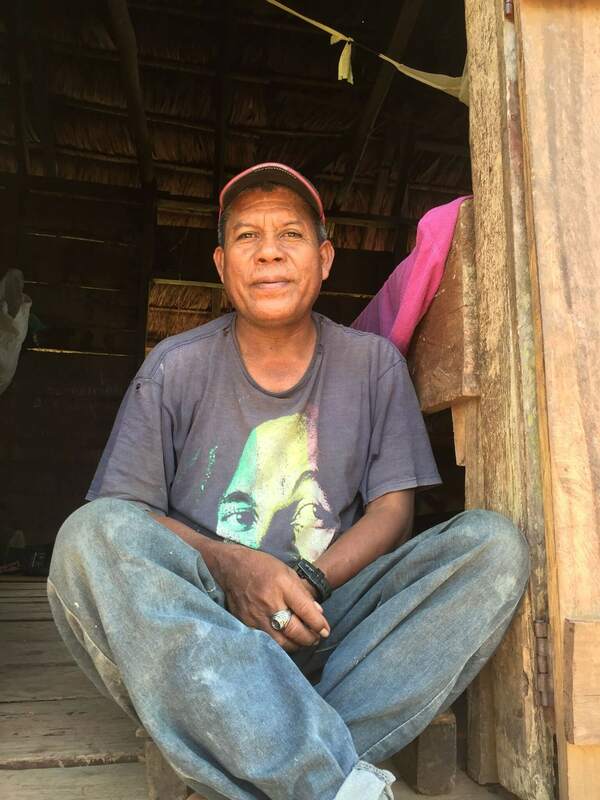 The Miskitu man pictured here, wearing a Bob Marley shirt, lives directly behind the Miskitu elder pictured above. He attempted to shoot back at the colonos during the recent attack, partially restrained by his wheelchair. 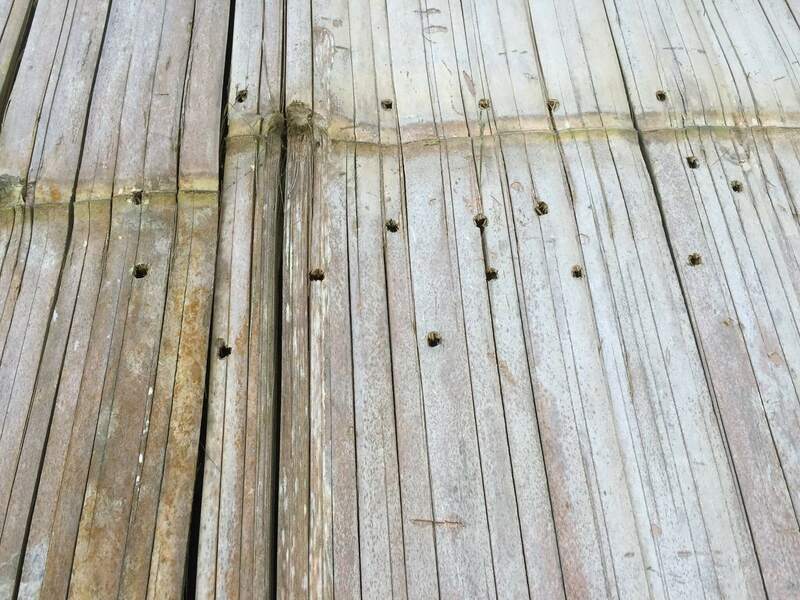 Rather than retreating, the colonos came back and sprayed the elder’s house with even more bullets, according to numerous eye witness reports. 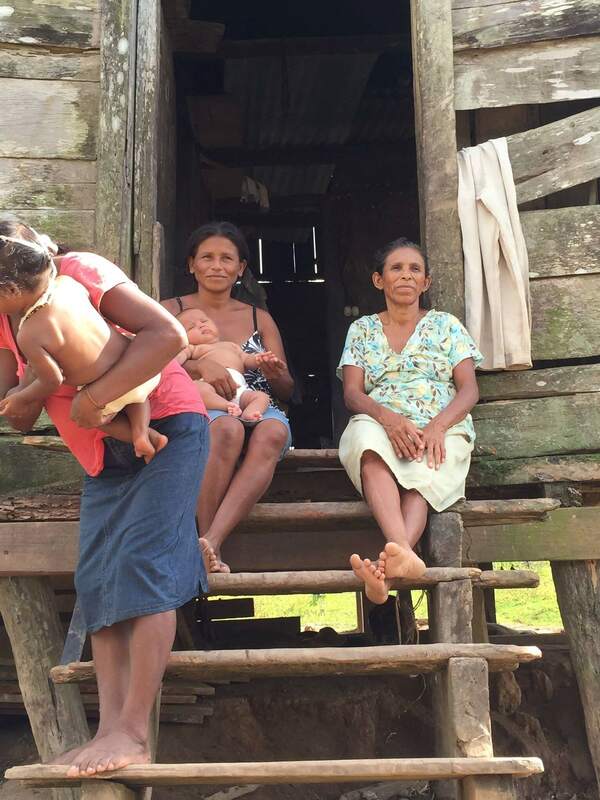 Despite the ongoing violence, all hope is not lost on Nicaragua’s Miskitu coast. 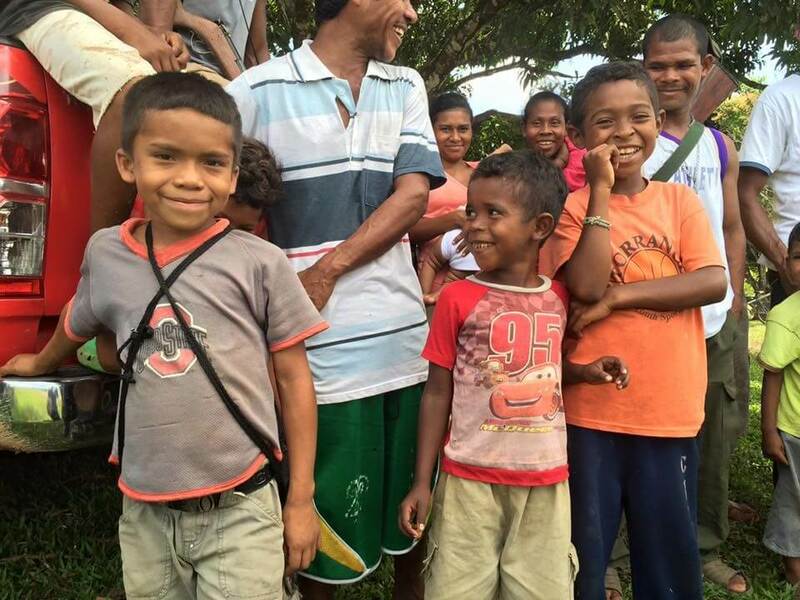 Here, a group of children obliged a picture at an impromptu community meeting in Santa Clara, where villagers had gathered to share their stories. 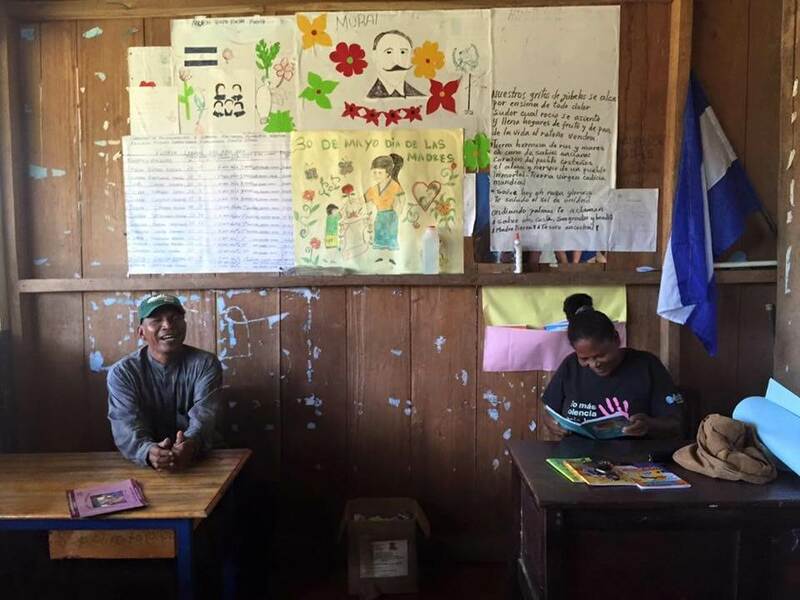 In this photo, Rosman Flores – secretary for one of the Miskitu Councils of Elders – sits with a teacher who has remained in the frontier community of Santa Clara, despite the mounting health and human rights crises. Flores was shot by the Sandinista military and left for dead in December of 2015; the soldiers claim he sped through a traffic stop. 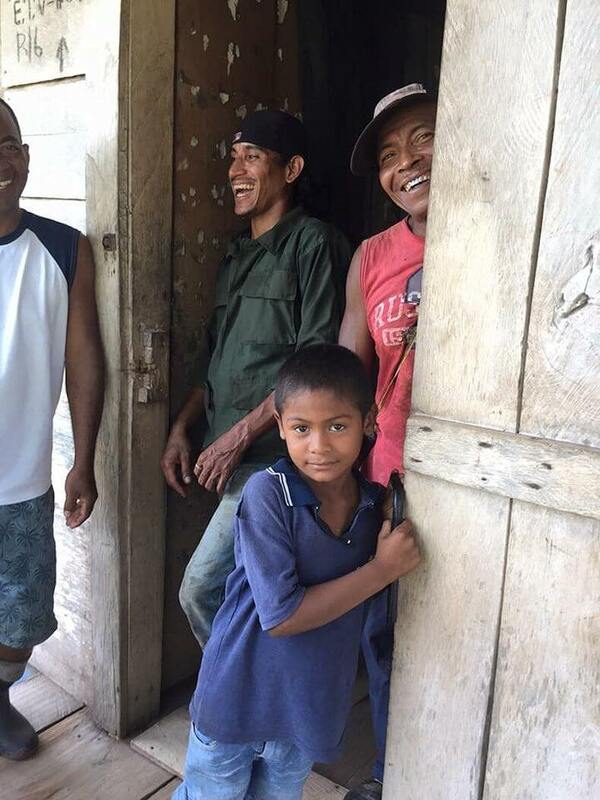 Flores disputes their claim; and it hasn’t stopped him from continuing to visit the frontier communities to assist in documenting the increasingly dire situation. 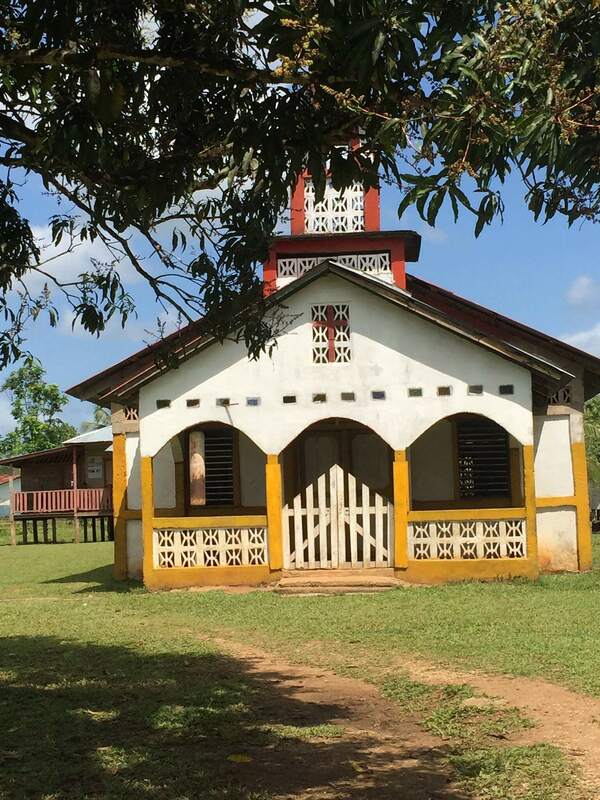 Near the schoolhouse, a brightly painted church casts a majestic figure in the center of the communal village of Santa Clara. Women of the community of Santa Clara gather to denounce the violence inflicted by the encroaching illegal land settlers. 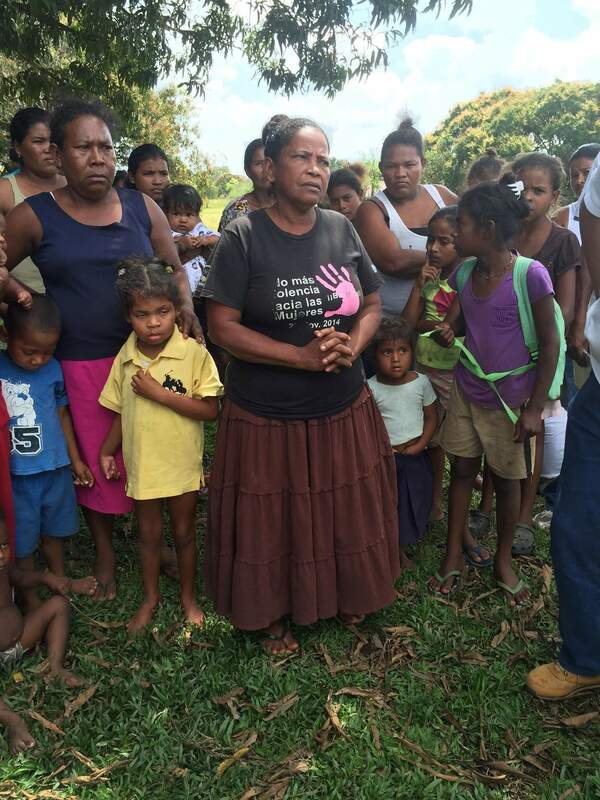 The woman in the center describes the unthinkable; her daughter (in the yellow shirt) was shot in the head by colonos during one such horrific attack. 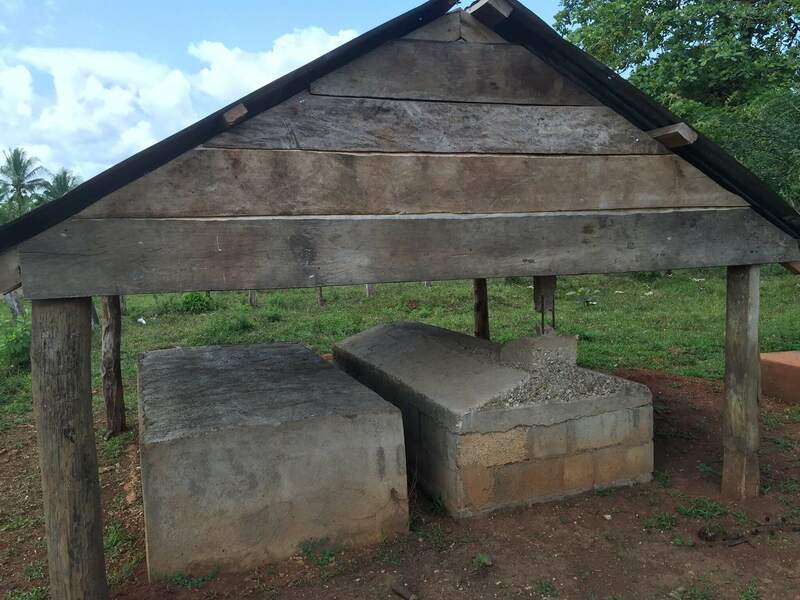 The tombs of two community heroes in Santa Clara – acclaimed Miskitu warriors who sacrificed their lives attempting to shield their families and friends from encroaching violence – are displayed in reverence at a central point in the village. Among other forms of attack, there have also been extremely disturbing reports of sexual violence – and at least one case of a Miskitu man who was reportedly gang raped by around 20 colonos in a nearby village. 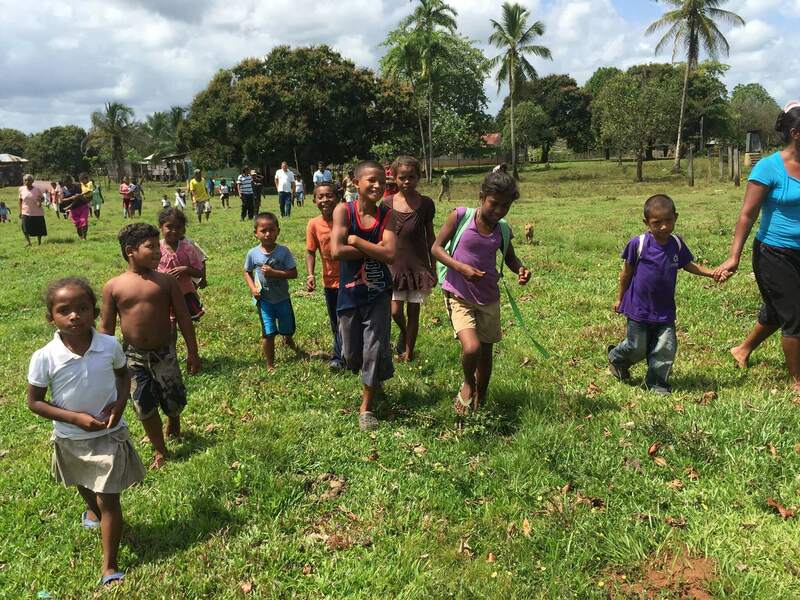 Unburdened by a seasoned distrust of outsiders, the Miskitu children in the larger settlement of Santa Clara were excited to have visitors. The relatively buoyant moments captured here are belied by the fact that many of the children likely went to bed hungry and scared; lacking necessary medical attention and the educational structure necessary to bring to life their dreams of a more secure future. One thing became clear in talking with children from the internally displaced community in Bilwi, even in their youth, they understand their inherent right to a more peaceful life – and how it is currently being denied them. Pictured here is a Miskitu boy, 14 years of age, with an irrepressible smile and youthful charm. His smile quickly fades as he details the epidemic of violence infecting his home on the frontier. His tone a mixture of fear and anger, he described the horror he feels upon seeing certain colonos – who are known to have perpetrated some of the most violent attacks on the frontier – walk around with impunity in the city of Bilwi. When asked about life in Bilwi, he is quick to assert that it is not – and never will be – their home. According to him, their most fundamental and immediate need is peace and security in their own villages. 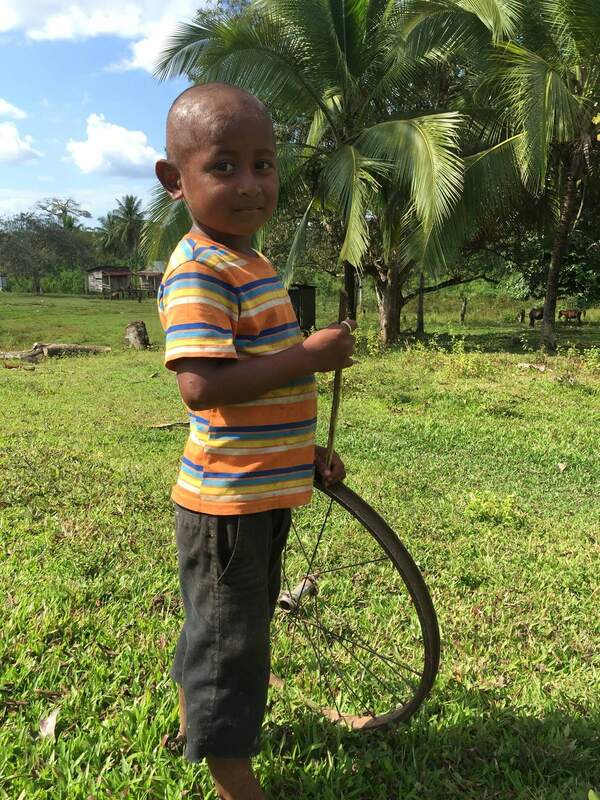 His mother reminisced about being able to provide for all of their needs living off the land in Santa Clara, and explained they aren’t used to needing money to survive. In Bilwi, she struggles to find enough work to keep shelter over their heads. Many children arrive from the frontier without shoes and struggle to enter the educational system there. The Miskitu – as all people across the world – have bestowed upon them the basic human right to protect their community from armed invaders. There has been at least some loose talk within the community of the need to differentiate between a community police force and patrol, and a more macro-strategic militia unit. Others have outlined a need for their own sovereign police force; autonomous from the state of Nicaragua. The Zapatistas, their own strategy honed by a disastrous failed armed uprising against the Mexican state in 1994, seem to have found a workable balance in the armed policing of their communities – whose safety has been largely abandoned by the Nieto government and more local administrations. Beyond their armed community patrols, the Zapatistas maintain a strategy of nonviolent – yet extremely powerful and contagious – resistance to the violent gang activity and corrupt governance currently endemic to Mexico. At the time of the YATAMA conference in the end of February, innumerable accounts from all over Muskitia concurred that an ultimatum had been set. The powers that be of the Ortega administration had 3 months to comply with their demands for the basic safety, education, and medical care guaranteed to all in the socialist system of the Sandinistas. A trip through any of the remote communities of the ‘Region Autonoma del Atlantico Norte’ (RAAN) — or even the more urban Miskitu regions such as Bilwi – provides a clear and unmaskable image of how these needs and rights are, at current, anything but secured. In light of Ortega’s statements confirming the illegality of the violent occupation that is currently and tragically undermining Miskitu health and security – and the implication such activity is not in line with official Sandinista policy in the region – it seems to reason that an official, compassionate, and just government response is crucial – and further, should be immediately forthcoming.